Help support Holly Hill Farm's "Farm to Food Pantry" program where teens grow, harvest and deliver fresh produce to local food pantries. 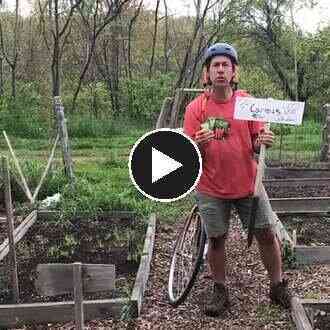 On May 31st, Jon Belber biked from Boston to Scituate to plant carrots at 12 school and community gardens. 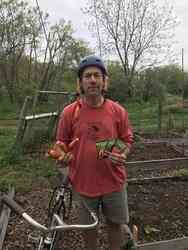 On Monday, September 24th, Jon plans to re-visit all the gardens by bike to harvest the carrots. 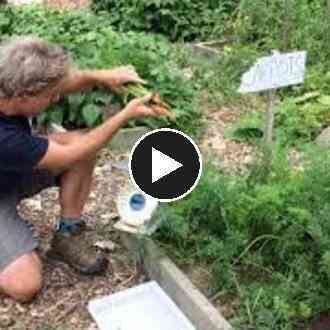 Please consider making a donation to support the Farm to Food Pantry Garden program at Holly Hill Farm. Hello to everyone who donated to the Carrots By Cycle Fundraiser in May, 2018. Now that it's harvest time, I will be riding my bike today, September 24th to visit the school and community gardens to pull and weigh the carrots prior to donating them to Father Bills in Quincy and Wellspring in Hull. Please consider making a donation to help us reach the goal of raising $5,000 to support this important teen community service program that runs from March through December each year. Help support the “Farm to Food Pantry” program at Holly Hill Farm that works with teens across the South Shore to grow, harvest and deliver fresh produce to Wellspring in Hull, Father Bill's in Quincy, as well as food pantries in other South Shore Towns. 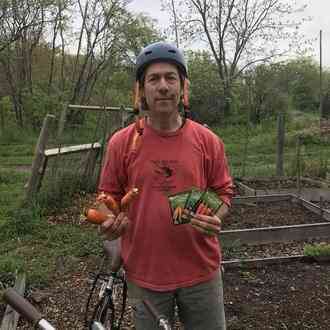 “Carrots By Cycle” is a two-part event: part 1 was on May 31st when Jon Belber set out on his bicycle to plant carrot seeds at 12 school and community gardens in Boston, Milton, Quincy, Braintree, Weymouth, Hingham, Hull, Cohasset and Scituate. On Monday September 24th, Jon plans to ride his bike to harvest the carrots and donate them to local food pantries and shelters, including Father Bill's and Mainspring in Quincy and Wellspring Multiservice Center in Hull. Both of these day-long bike rides were designed to raise awareness about the need for fresh, organic produce for food pantry clients at local area community kitchens and food pantries. Please consider sharing this information with friends and family who might also be moved to support this worthwhile program. Please support this important program by making an online donation to the Farm to Food Pantry program through this GivingGrid.com platform. Friends of Holly Hill Farm is a 501(c)(3) nonprofit so your donation may qualify for a tax deduction. 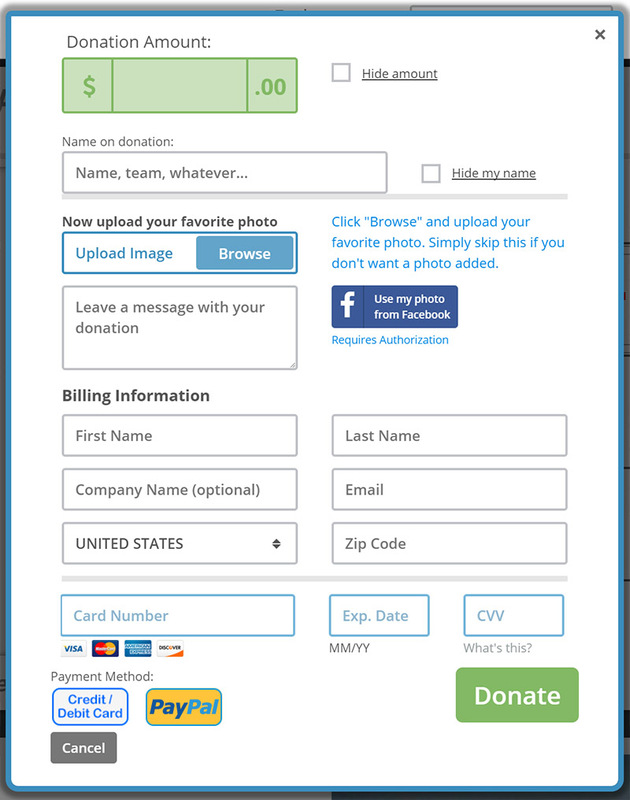 Donors are charged a small fee to cover administrative costs at GivingGrid.com, however, you can adjust the fee amount by clicking the "edit" button under the fee and pay any amount you like. You can also mail a check made out to Friends of Holly Hill Farm and send it to 236 Jerusalem Road, Cohasset, MA 02025. Any questions, please email Jon Belber: jbelberhollyhill@hotmail.com. Thank you very much for your support. I am helping to support Friends of Holly Hill Farm, Inc.. This is an important cause and I’d really appreciate your help. Please spread the word and/or make a donation. Thank you so much! I just made a donation to "Friends of Holly Hill Farm, Inc.." Please help me spread the word about this cause or make a donation yourself. Your generous donation goes directly to the PayPal account of Friends of Holly Hill Farm, Inc., less PayPal processing fees. GivingGrid.com does not take a fee from Friends of Holly Hill Farm, Inc.. It's free to them.You do not need a PayPal account to donate. 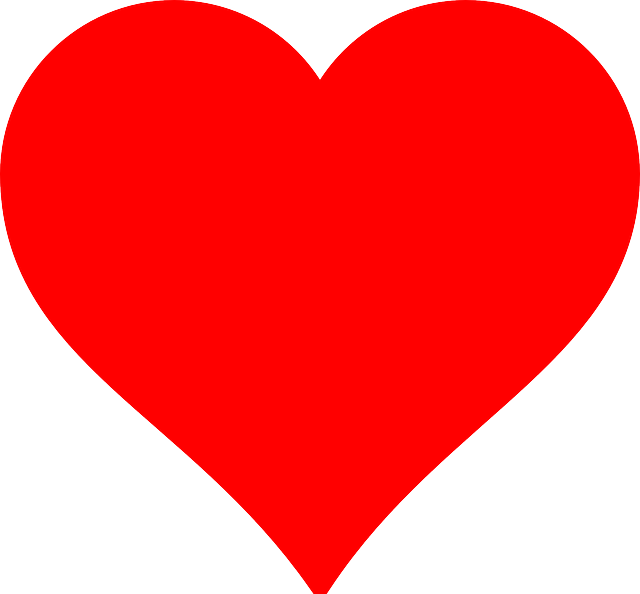 Please help a little more to support GivingGrid's operating expenses and keep the service free to Friends of Holly Hill Farm, Inc.. Why? Unlike most other services, we don't charge Friends of Holly Hill Farm, Inc. any fees. It's free to them.